Many buyers over tender their vessel and find that they have made a very expensive mistake. Here are several tender buying tips to get you started and headed in the right direction. Tender Care Boats sells and services high quality inflatable tenders. We are experienced in the nuances of both Hypalon and PVC tubsets. One question we get frequently is “ why should I spend more money on a Hypalon tubeset?” This is a very good question and worth talking about. Purchasing a tender can be more technical than you may think, especially for the first time buyer. Below are six things to keep in mind when you are in the market for a tender. Why are Yacht tenders so popular and what are the benefits of ownership? Tender Care Boats has been servicing the marine industry for over 35 years. WE have seen and experienced the rigid inflatable industry evolve since its inception. Many boats models and segments have been created, but there isn't another type of boat out there with as many uses than a rigid inflatable. There are many facets about the Skipper line of yacht tenders that can be very helpful for boaters of all types. Here are 8 of our favorites that are tops with our customers. Rowdy RIBs: Five Rigid Inflatable Boats that are Beyond Awesome: Tender Care Boats knows The Skipper 10' is beyond awesome, we designed and created it to be that way. What Size Yacht Tender is Right For You? Did you know both the Skipper 10’ and Skipper 11’ tenders fit on the davit, crane or swim platforms of many yachts starting at 42-feet? The most commonly used tender size is 10’ for most smaller yachts. Looking for New Inflatable Yacht Tenders? 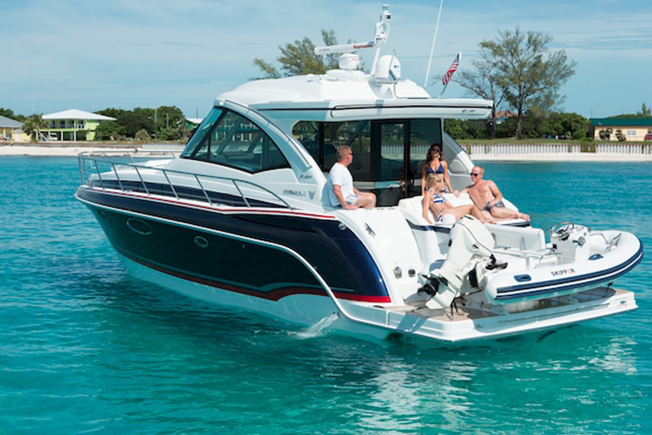 Tender Care Boats is an authorized dealer for AB, Brig and Rigid Boats. 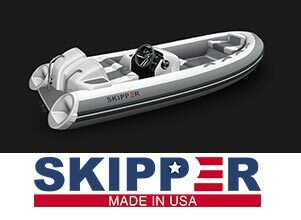 Tender Care also has a brand new line of yacht tenders called the Skipper. Call Skip today for more information on new and pre-owned yacht tenders and rigid inflatables. Why The "Skipper" Custom Tender? Why is it that many yachting customers own highly customized yachts, but when they look to purchase a yacht tender, they end up researching and looking for tenders built from an assembly line process? We can’t answer that question, but we can build a line of elite custom tenders that match the quality and craftsmanship of many leading yachts seen on the waters today. For many of you Skipper 10’ and 11’ owners, you are probably looking for a reason to move up to a larger Skipper tender. Like many boat owners, this is a very common “itch” as they might call it. Let’s face it, you’re probably itching for a bigger boat and you want to move up in the line. Whether you’re buying an inflatable yacht tender, a flybridge convertible or a center console, the itch is always going to be there.